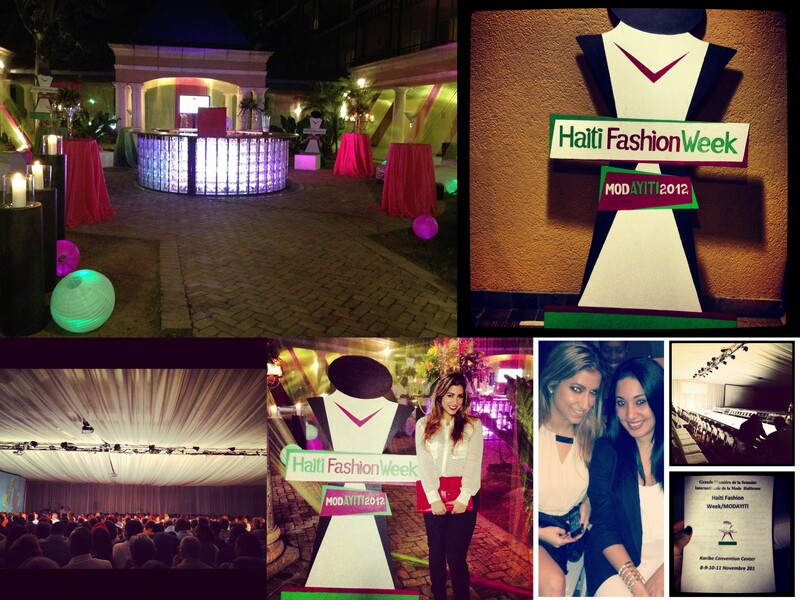 Event: Haiti Fashion Week 2012. 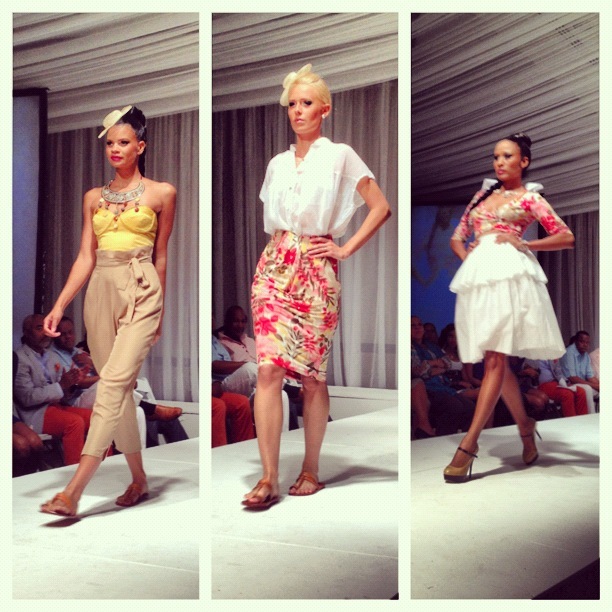 Purpose: Stimulate and showcase the Fashion World of Haiti. For the first time in history, Haiti proudly introduced its first Fashion Week from November 8 to November 11, where thirty designers showcased their collections. 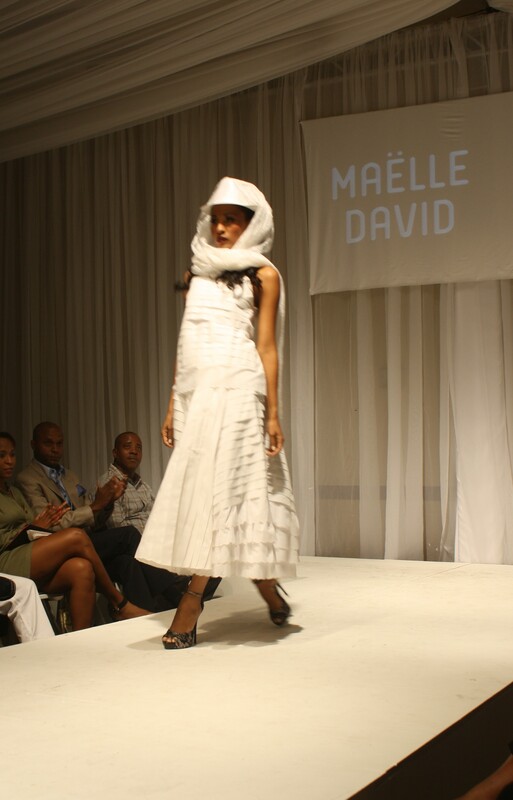 Also known as “ModAyiti 2012” in creole, this special event was created by the Haitian Center for Support and Promotion of Enterprises (CHAPES) and the Haitian Network of Designers (HAND), two associations working to develop the Haitian Fashion Industry. Funded by the Ministry of Culture and the European Union’s support program ARCADES, this event gave our local designers a chance to be noticed by the international eye thanks to the presence of international designers, guests and press. 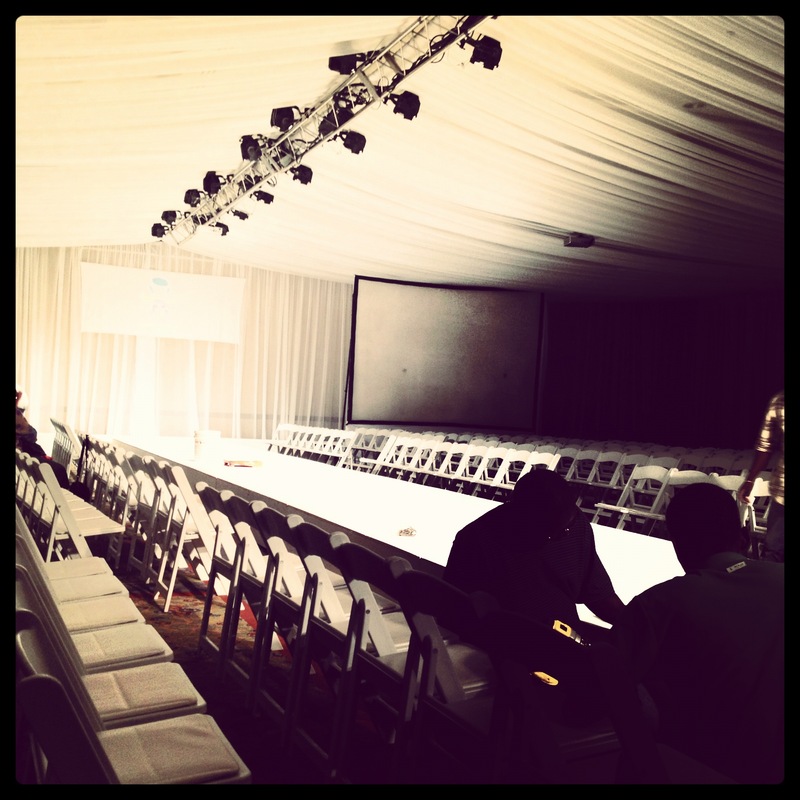 As we entered the Karibe Convention Center we were immediately transported into another atmosphere: Elaborate white draping covered the ceiling and walls, and white chairs were laid out to align the also white catwalk. Ushers greeted us at the door and brought us to our seats while the pleasant beat of the Haiti Fashion Week 2012 theme song played in the background. 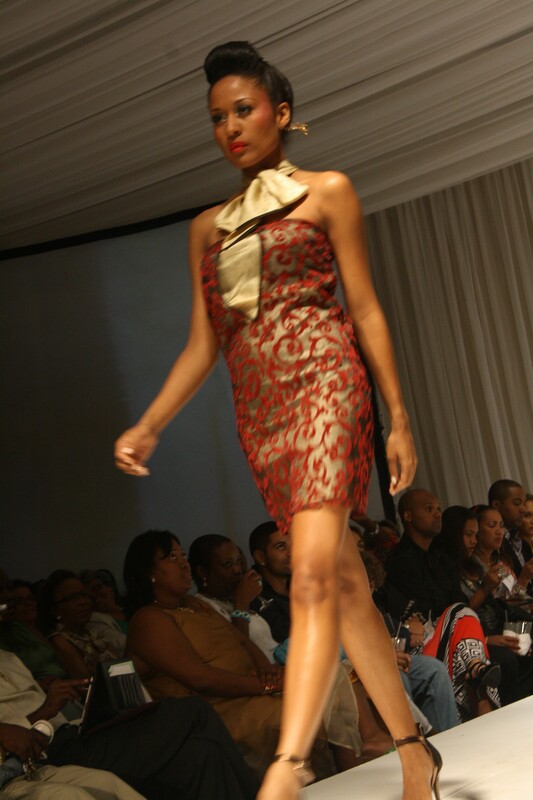 The program of Haiti Fashion Week 2012 included a forum during the day on the development of fashion in Haiti, and an exposition of items for sell by the designers after each show. 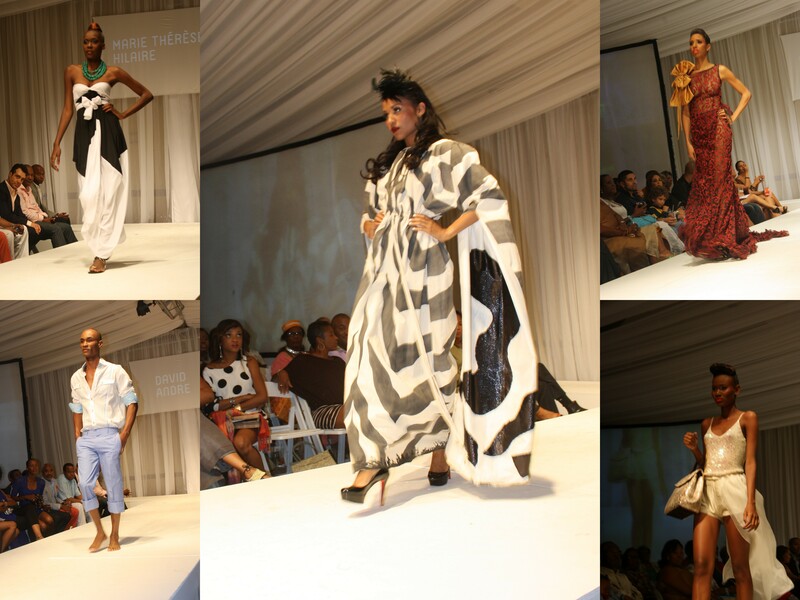 The opening ceremony last Thursday was a welcoming celebration for the designers and the organizers of this event with a tribute and homage to the Haitian culture and history. The celebration ended last Sunday with a Haitian folkloric dance with colorful costumes. Scheduled to start at 7 PM, it was not a surprise to see the shows start an hour late while the public preferred to mingle in the courtyard with drinks and cocktails. An intermission of 15 minutes took place each day, and the shows were a little too long lasting almost 3 hours. It is Fashion after all, and Fashion is fast paced. 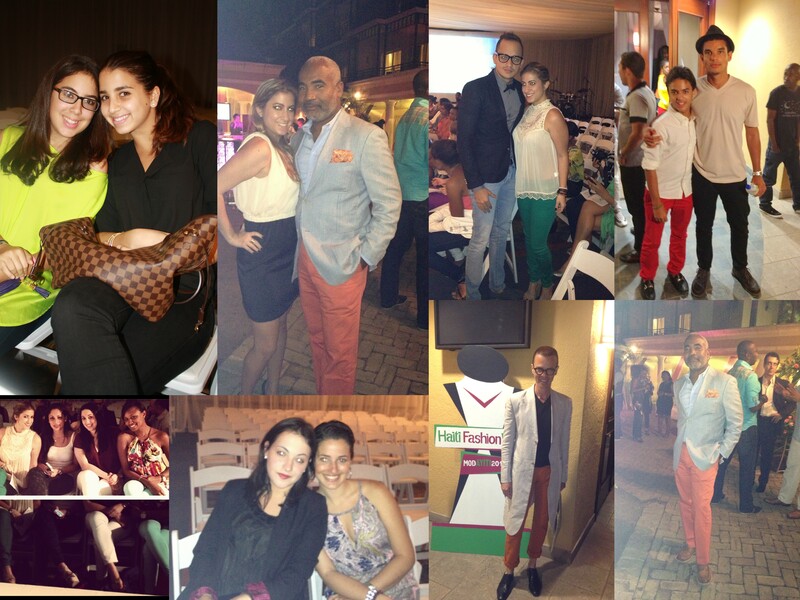 We saw it all: beach attire, casual look, suits, cocktail and evening dresses. 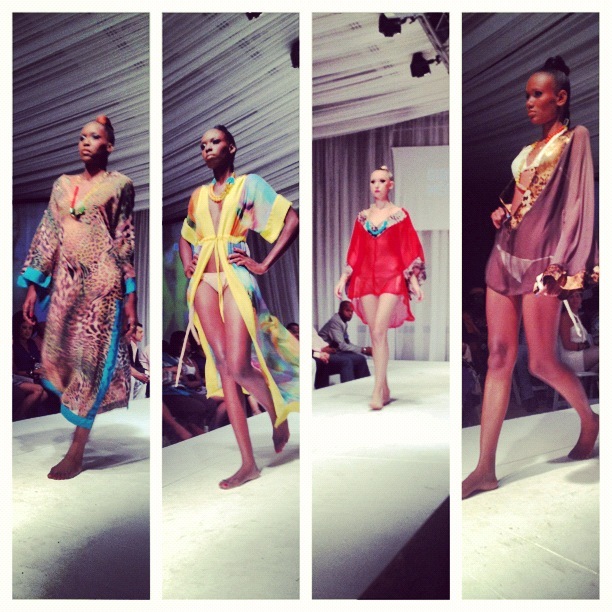 More than 2 dozen designers took part in this show to exhibit their creations. Native names such as David André, Michel Chataigne, Maelle David, Marie Thérèse Hilaire, Miko Guillaume, Marjorie Alexis (to name a few) shared the runway with international designers coming from the Caribbean, USA, Argentina and Japan. 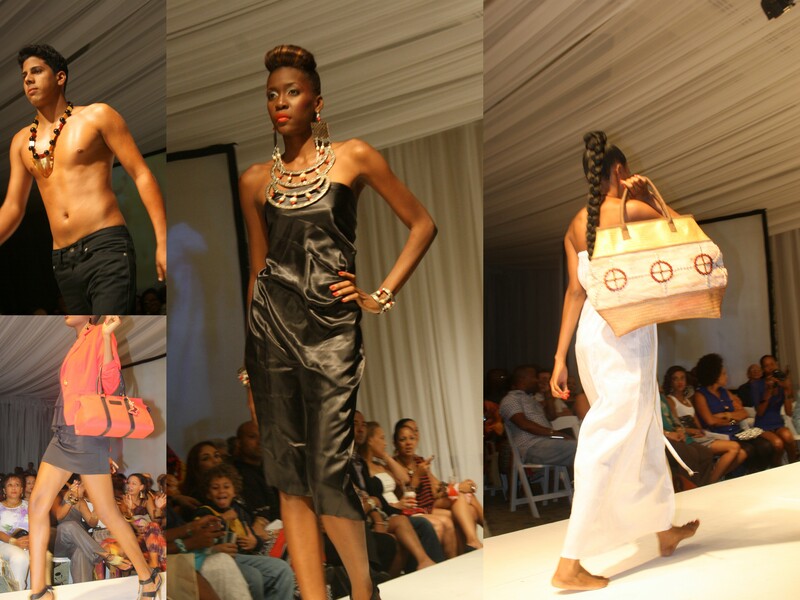 Culture and heritage are at the heart of every designer in Haiti and are proudly reflected through their collections. However, it seems that the focus on culture was taken too seriously. We believe that more initiative and risk should be taken by our designers in order to push the envelope when it comes to the individuality, cohesiveness and aesthetic of their designs. 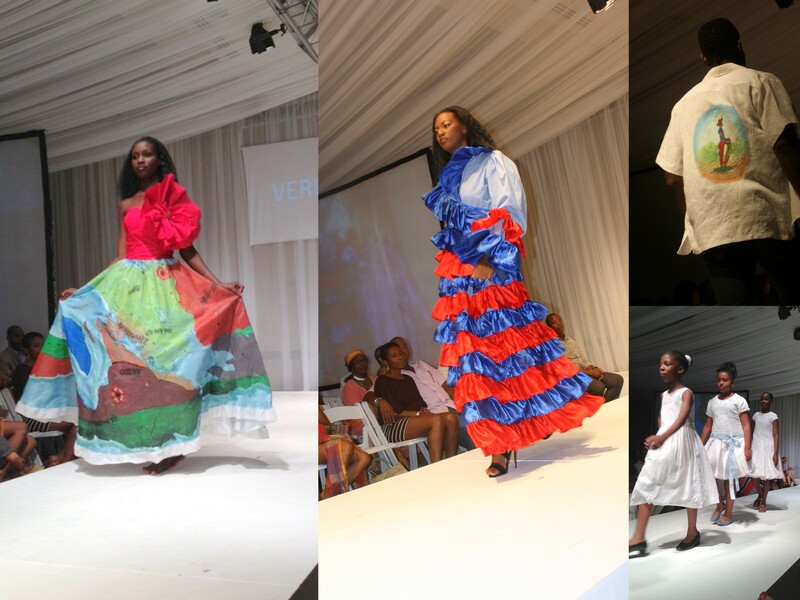 Left: Garment painted with Haiti’s geographical departments by the students of Verona Fashion school. 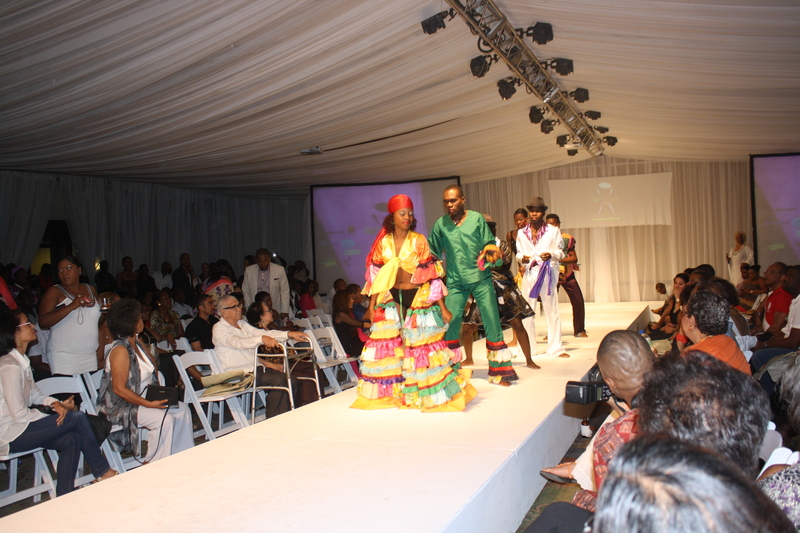 Center: Folkloric garment in Haiti’s colors by Harry Lafond. Top and Bottom right: Works of Jacqueline Francis. The project beyond ModAyiti goes as far as creating an atelier for our local designers and hopefully opening a store in New York selling Haitian products and clothing. 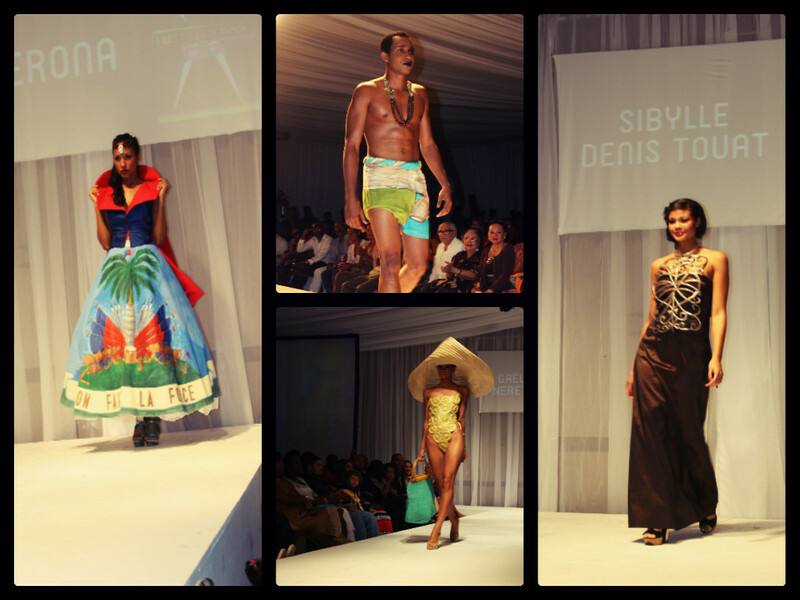 The world of fashion is no longer dormant in Ayiti, and this project led by Maguy Durcé marked its awakening. Nearly 30 models carried the designers’ collections down the runway 10 of which were international. While some were too fast, others like international Haitian model Nayeli Fanfan among others (see below pictures) made their way down the runway with the perfect modeling grace and attitude. Reigning miss Haiti International Anédie Azael brieftly joined the modeling team. Male models appeared shirtless and some with paintings on their faces to showcase some designers jewelry collections. 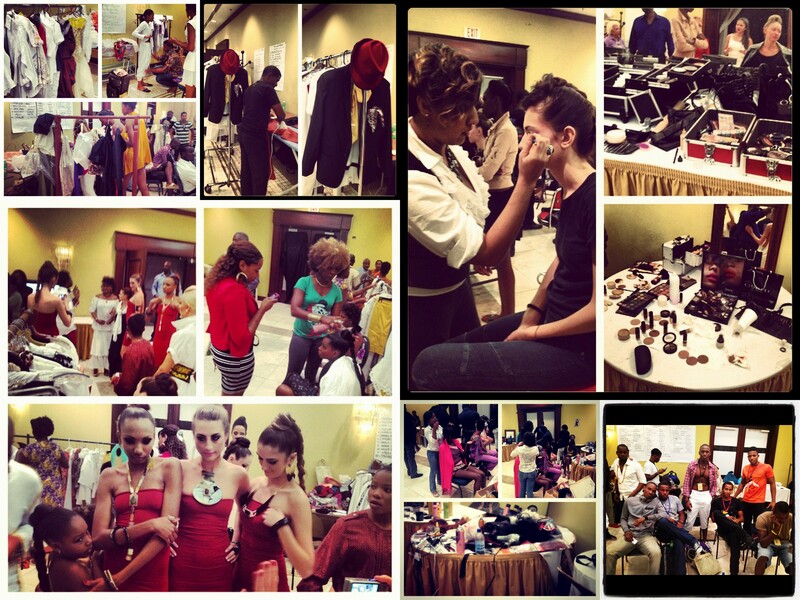 A group of 20 Haitian and 10 international models, stylists and makeup artist were part of the team that made Haiti Fashion Week possible. Who would have thought that a country who has suffered so much from recent natural disasters would one day hold it’s very own Fashion Week? Surely a lot of work needs to be done but thanks to ModAyiti and its team, we hope to make this event an annual rendez-vous. Thanks the details. It seems like it was a very nice event. Making it an annual rendez-vous would be brilliant. Can I ask where did you get your images from if it’s not a secret?? Hi, those pictures we took them ourselves. We always quote our picture source if we don’t take them ourselves. and additional data, is there any other site which gives such information in quality?